7 Parisian Chic Decorating Ideas Presented at Roman & Williams Guild, New York. Instagram stories, you probably saw that my friend Michele and I took a field trip to NYC last week. We visited a pop-up exhibit called, "THE COLOR FACTORY", and then traveled afterward to our favorite destination for coffee and interior delights, the Roman & Williams Guild. We like to fill homes with new products made incredibly well using natural materials whenever possible. Today on the blog I'm sharing a peek into an influential design team, Roman & Williams, and their flagship showroom Roman & Williams Guild. From hotel design to custom handmade pieces for your home, this duo is creating my favorite definition of luxury decor. The table settings, tools for living, custom furniture, great food and a space infused with nature. The minds of this duo are leaning in. The handmade environment is the texture of luxury. THE GUILD: French Food, Design, and Flowers. 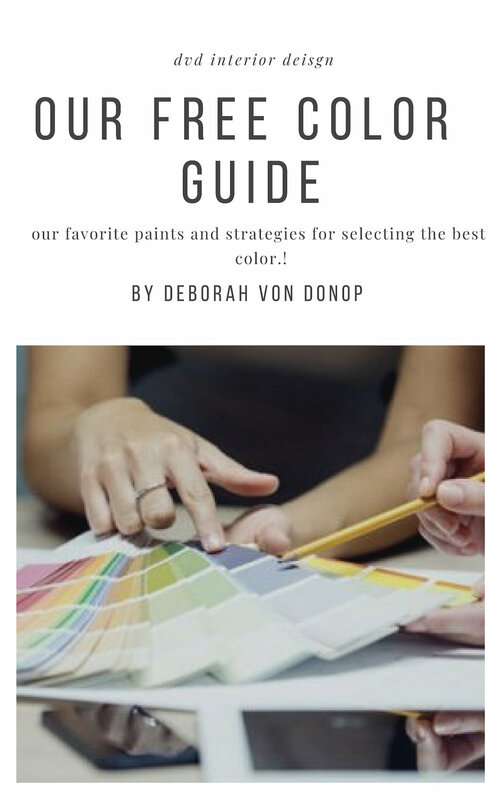 My friend Michele and I like to venture into the city 1 -2 times every month to visit some of the best resources in Design and see the latest products. This one of a kind in the heart of SOHO, on the corner of Mercer and Howard, is the Roman & Williams Guild is my go-to shop when in the city. The three components of this shop include a restaurant, "la Mercerie" French comfort food, a floral shop " Thompsons Flowers" and the community of artisans in the boutique "
Because this place is inspiring, I have taken a look at the key concepts displayed here to create our favorite look, a chic Parisian home. Designers and homeowners alike draw inspiration from chic hotel properties. Since R+W are the design duo behind many of these spaces, let's look at R+W Guild for inspiration and a few key takeaway elements to help master the mix of classic and contemporary and to create this chic style in your own home. Restaurant Design is the calling card for Roman + Williams design team The list is long with the Freehand Hotel, Royalton, Ian Schrager Hotels, Ace, recently with Richard Branson on a new line of Cruise Ships. Each time we see a space that is rich in architecture, color, and materials. Parisian chic is prevalent with the blue velvet bench running through the center of the restaurant, and the historical vintage envelope of the space painted in high gloss, with warm colors, darker cabinetry in natural wood tones or lacquered black with beautiful stone counters as in the Kitchen. A new appreciation of ceramics is highlighted in both the cafe and shop. Each plate, cup and serving dish is sculpted and shaped by hand, mixed with vintage silver and delightful French comfort food. This is my go-to places when in NY. A sense of history in both color and architecture. Vintage or reproductions of historical classics is a departure from the Americans' obsession with new. THE R+W GUILD offers a community of artisans to shop from. Handmade ceramics, rustic linens, beautiful dishes, vases, and my favorite, heritage (Korean) Cooking pieces. Many of these are used to serve food in the cafe are also available for purchase in the shop. Restraint is needed. Selecting furniture that is sustainable and made with living finishes and crafted local are the new rules for interior design. Furniture, Accessories and Home Decor are all created with a sense of stewardess to the earth, as should your home. Choosing pieces that are made well, and responsibly are key for the layered and peaceful home. Tablescapes with flowers from the flower shop, help to showcase the custom furniture designed by R+W. dishes in the cafe to the shelves of the store. NOTE: Books are everywhere! Design Books, art books and novels. Grab a book and lounge. when you spend lots of time indoors, you need to fill your home with living things and add softness to all the hard shapes. When I am on vacation, my favorite place is at the beach or in the mountains with my family and a high dose of nature around us. It is renewing. Your home should also renew you every day when you walk in the door. Collections of nature include ranches, garlic, and items collected from a walk through the woods. Creating style in your space, by incorporating vintage and older pieces. Use it until it is broken. A silver vintage creamer is served with the handmade ceramic mugs and sugar cup. These can be pieces picked up ar your favorite market or passed down from your family. don't be afraid to mix old with new and the handmade. This is the mix that offers a classic and chic look overall. #7. ADD BLACK: take a cue from this beautiful working kitchen! Black and white interiors with beautiful detailing are my go-to ideas when creating a space. Whether it is beautiful moldings or delicious stones with metal detailing on the cabinetry, Black is a great color to add depth to any white space. Creating your space takes time. We talked about this in our reports on High Point Market and the trends seen at market this year. The Hotel industry is leading the Home Environment. In this high tech society, we are seeking a natural touch to our home for renewing and regaining our sense of place. We look to R+W as Chic Parisian Style to emulate and the desired look for our interiors. They have mastered the mix of contemporary with perfection. Use these concepts to edit and build your home. Let it evolve over time, be patient with the process. Don't be afraid to mix, and create collections, add and edit views over time with each new addition. Create layers of each of these elements mentioned above and you may find that you have exactly what makes you happy. I hope you enjoyed a look inside one of my favorite New York destinations. What are some of your favorite places to visit while in NY? Where do you find inspiration for better living? Please share in the comments below. I'm always looking to visit new and exciting places when in the city. Fall fair season has officially kicked off with New York Now in August and FIELD + SUPPLY a new independent design fair in the Hudson Valley, NY approaching in October. THE WEEK AHEAD Anticipation is in the air with High Point Market opening in a few weeks for Fall Market North Carolina. Stay tuned for our updates!